Lions are the second largest of the big cats (only the tiger is bigger) and the only ones in which the males have a mane. Males can grow up to 1.2m at the shoulder and can weigh as much as 250kg. They are the only social big cat species, living in ‘prides’ of up to 6 related adult females and their young. Males: up to 14 years; females: up to 18 years. The African lion population has almost halved since 1993. There are currently estimated to be about 20,000 remaining in the wild today. Lions can live in most habitats except deserts and rainforests, but prefer grassy plains, savannahs, open woodlands and scrub with some cover for hunting and raising their young. Once found across most of the continent, they are now mostly confined to East and Southern Africa. 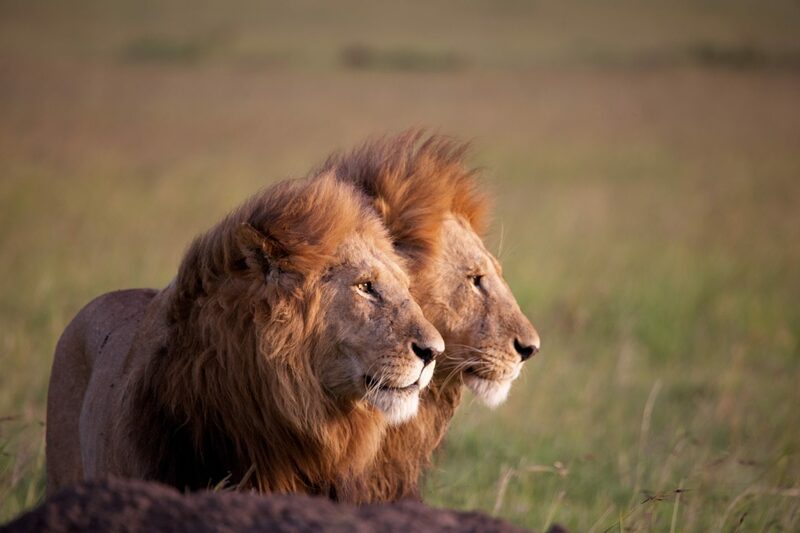 Lions are carnivores and hunt a range of animals including impala, wildebeest, zebra, buffalo and giraffe. They will also take smaller prey such as birds and reptiles and are known to be effective scavengers too. Lions occupy less than 10% of their historic range. The growing human population and encroachment has resulted in habitat loss and fragmentation. Human-wildlife conflict is a major threat to lions which are killed indiscriminately in retaliation for loss of livestock or human life. Prey base depletion is also a serious issue due to degraded habit, and bush meat hunting. Lions are still present in a number of large and well-managed protected areas across Africa, and their ongoing protection is vital for lion survival, especially if their habitat can be linked by wildlife corridors. As well as protecting some of their greatest strongholds in Tanzania and Zimbabwe, Tusk invests in a number of initiatives working with local communities to change attitudes towards lions and to help them protect their livestock.